George Peat "Embarrassed And Extremely Disappointed"
"I was embarrassed and extremely disappointed by the disgraceful behaviour of some of our supporters during the Liechtenstein national anthem at Hampden Park. 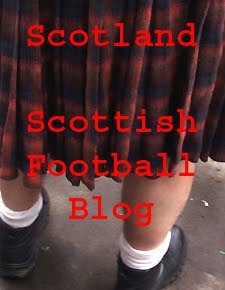 "The Scotland fans have worked hard to earn their reputation throughout the world as fun-loving and respectful followers of football. "Those who chose to boo our opponents' anthem only served to tarnish that reputation. "I apologise unreservedly to our visitors for the crass reaction to their anthem, just as I did in private to the Liechtenstein delegation. 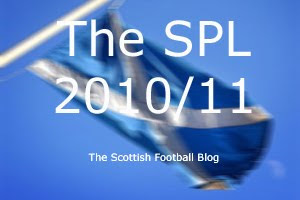 "It must not be forgotten that all nations must abide by Fifa's Fair Play policy and the behaviour does nothing to help Scotland's image." Yes, George Peat is apparently pretty annoyed that the Scotland fans, or sections of them, were booing the Liechtenstein national anthem at Hampden last. The pain of agreeing with For Peat’s Sake. But booing an anthem because it’s got the same tune as God Save The Queen? That seems pretty mindless. Still, I was “embarrassed and extremely disappointed by the disgraceful” performance of the national team last night. For some time I have been “embarrassed and extremely disappointed by the disgraceful” mess George Peat has made of his tenure at the SFA. I could almost accept his ineptitude if he covered for it in some way with honest endeavour. He doesn’t. He’s a sham who continues to damage the game by remaining in his post and through his own “crass reaction” to any criticism. This attack on the fans might be justified but it's being used to distract from the myriad of issue that last night's performance raised. United by brotherly bonds and free!